The impressive Kerinci Seblat Natural Reserve is one of the few places on Sumatra where the Sumatran tiger still lives in the wild. The impressive Kerinci Seblat Natural Reserve is one of the few places on Sumatra where the Sumatran tiger still lives in the wild. In the Kerinci Reserve are two volcanic mountains, the Gunung Tujuh and the highest mountain in Sumatra, the 3805 meters high Kerinci. At the bottom of the mountain grow cinnamon trees that give the impression of autumn (Indian summer) because of their red-colored leaves. Both volcanic mountains can be climbed with a guide. The highest crater lake on Sumatra is located on Mount Gunung Tujuh at an altitude of 1905 meters. Some special activities that you can undertake in Kerinci National Park include climbing the volcano Kerinci, making a jungle trip and visiting tea plantations. 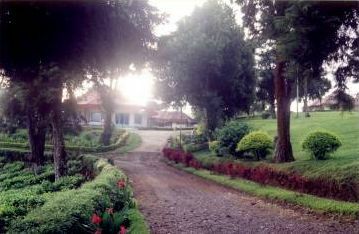 At the foot of the Kerinci volcano are the famous Kayu Aro tea plantations, founded in 1926 by the Handels Vereeniging Amsterdam. The old plantation houses still breathe the atmosphere of the 1920s. 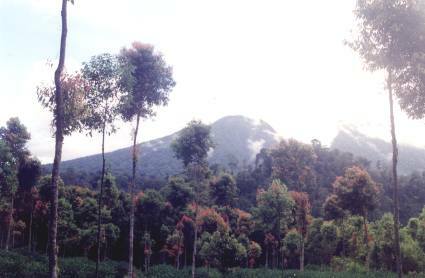 A trip to Kerinci National Park is included in the 24-day Sumatra trip. Ask us about the possibilities and prices so that we can compose and organize your trip together with you.